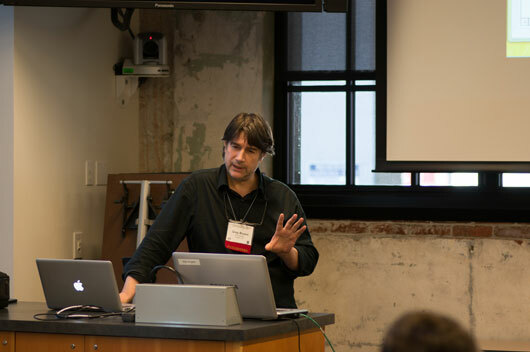 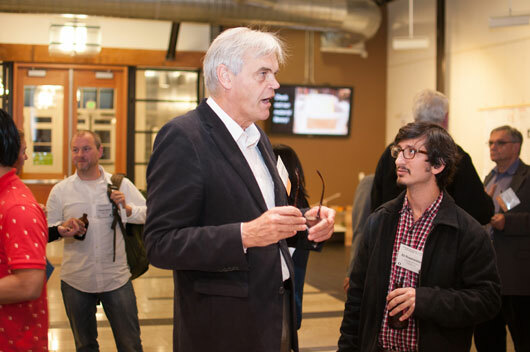 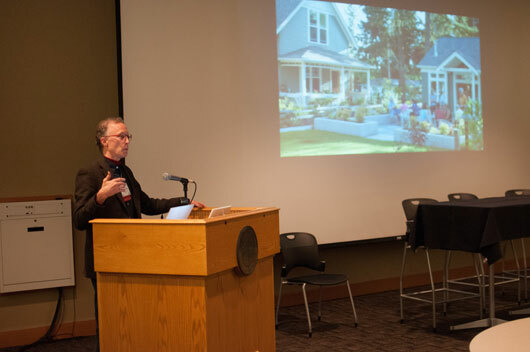 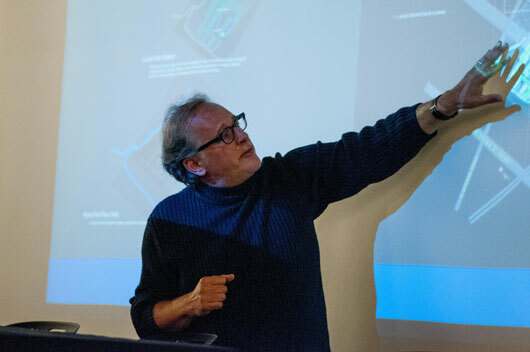 On October 18, 2014 University of Oregon Department of Architecture Professor Howard Davis presented “Symposium on Micro-Enterprise, Urban Production and the Architecture of Inclusion,” from 9:30am to 5:00pm, at 45 SW Ankeny Street, Portland, OR. 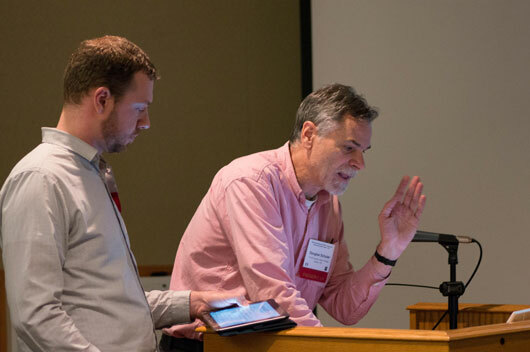 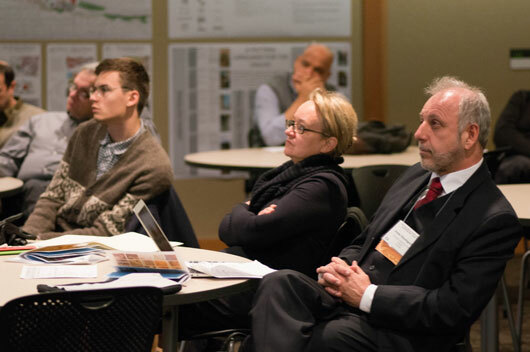 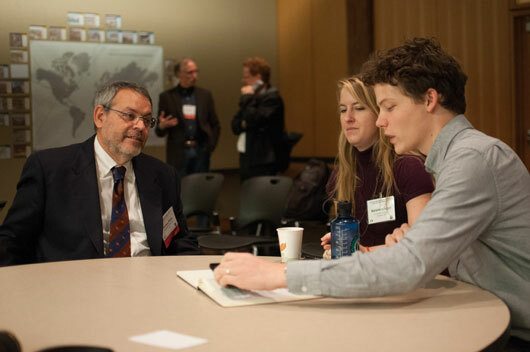 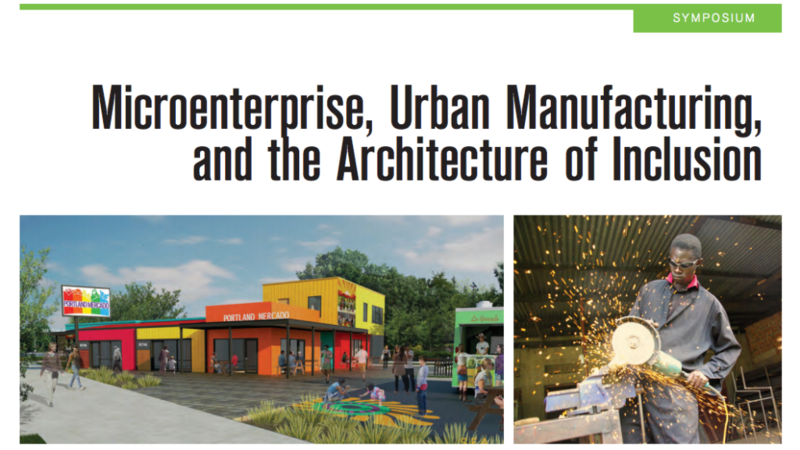 This symposium brought together leaders in various aspects of community economic development to present current work and discuss issues concerning small-scale enterprise, urban manufacturing, and the buildings that house such new initiatives. 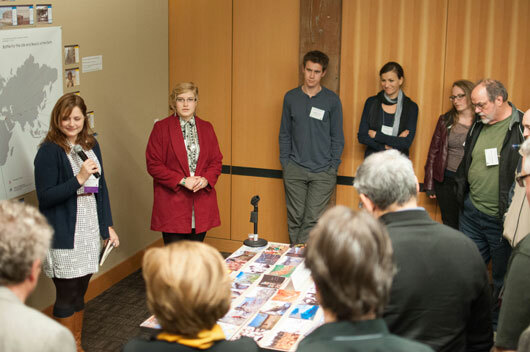 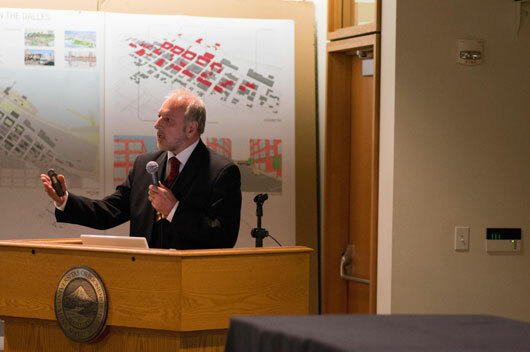 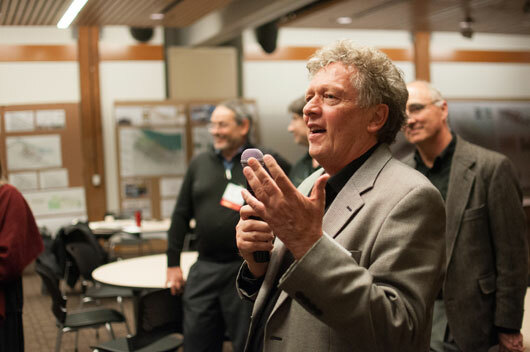 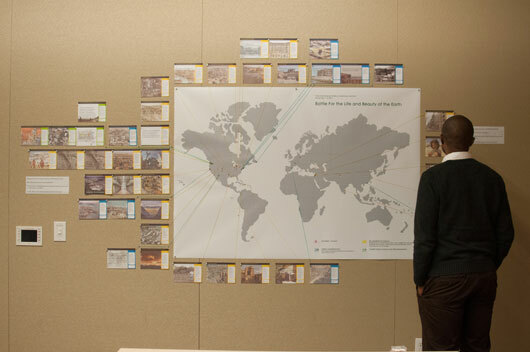 The Symposium was a collaboration between Mercy Corps Northwest, the University of Oregon Department of Architecture, and the Collaborative for Inclusive Urbanism. 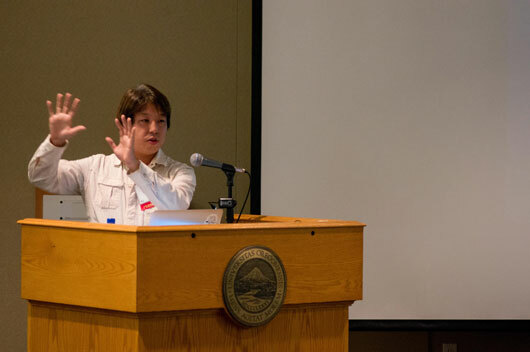 Videos of the presentations can be viewed on MercyCorpsNW online location. 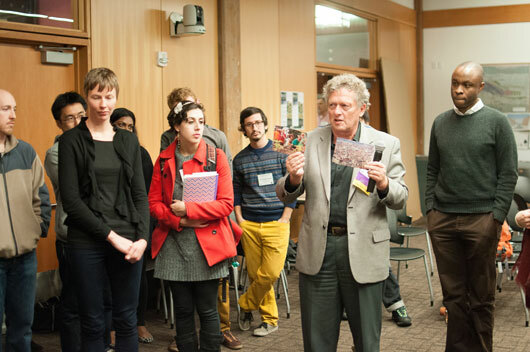 The symposium was a continuation of the collaboration between the UO, MercyCorps Northwest, and the Collaborative for Inclusive Urbanism. 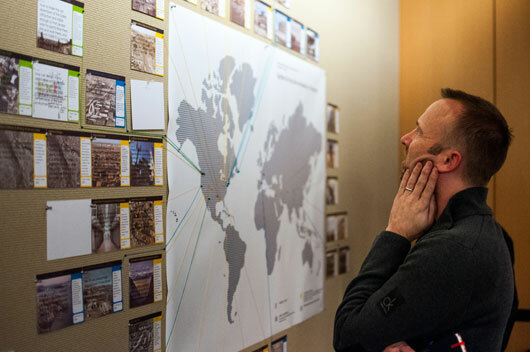 We’ve been working for the last year with Mercy Corps Northwest (MCNW) on the development of a program with which the micro-entrepreneurs that MCNW helps can be helped with issues relating to their own workspace–availability of workspace, location, design, renovation, etc. 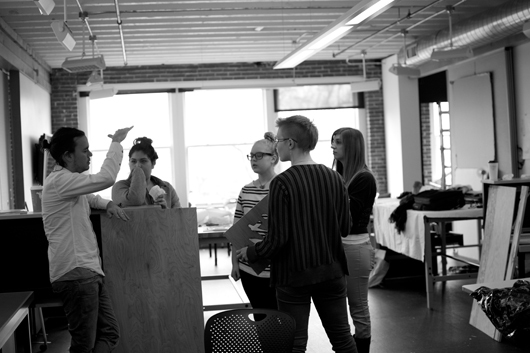 In our work we are developing a website through which people can get help, and a system which will match up students with micro-entrepreneurs to provide direct assistance. 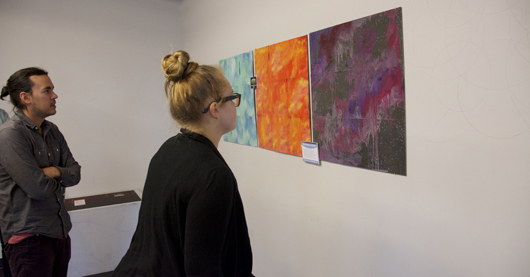 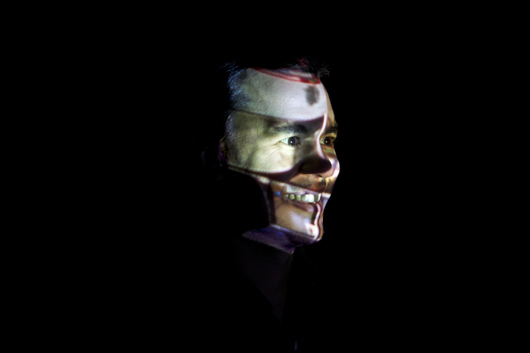 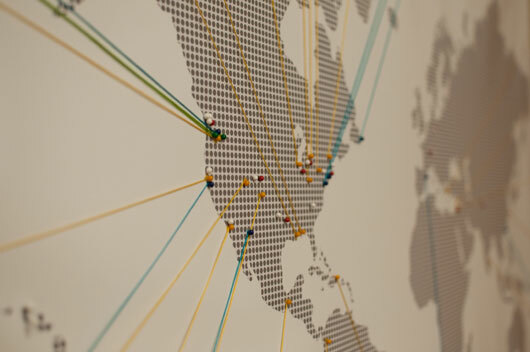 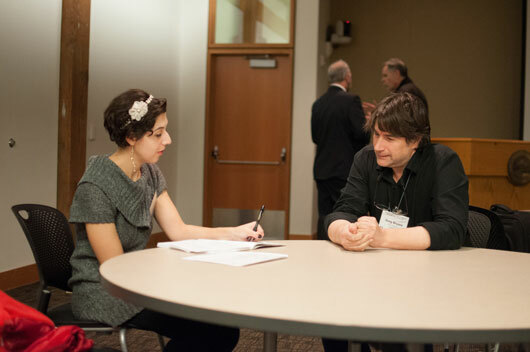 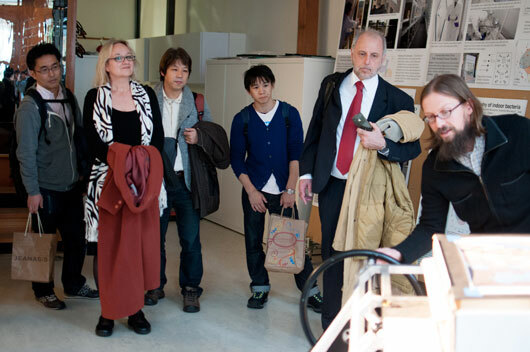 The symposium came about through a studio support grant from the Department of Architecture. 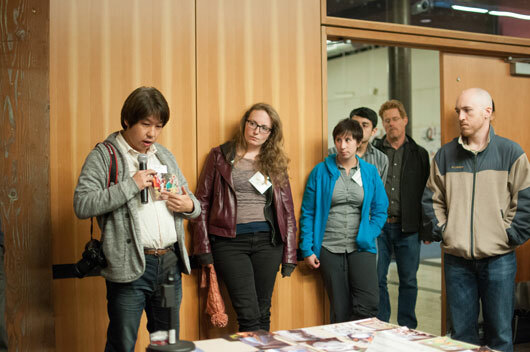 I am teaching a studio involving new industrial facilities on the in Portland’s Central Eastside Industrial District and the symposium was intended to bring people who are experts in the issues that are being dealt with in the studio–grassroots businesses, industry in the city, and the architecture that serve these ongoing trends. 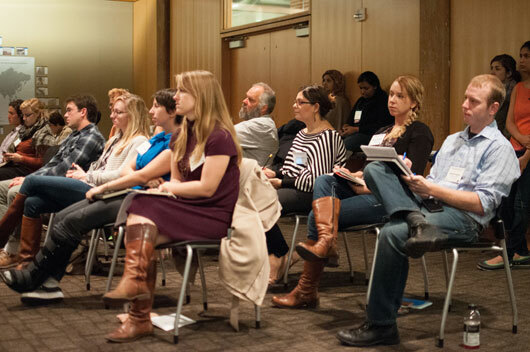 About 90 people attended the symposium, which was held in the Mercy Corps headquarters next door to the White Stag Block. 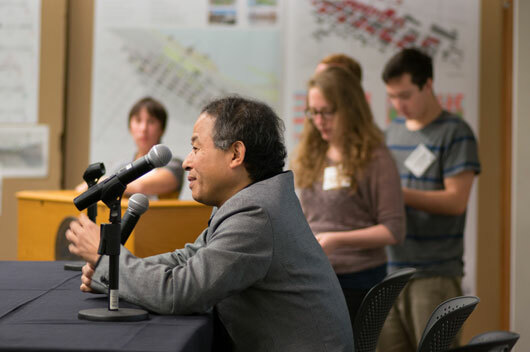 These included students and faculty from Portland and Eugene, members of the local community, as well as visiting students and faculty from Meiji University in Tokyo (coincidentally there at the same time as the symposium, and part of a program of cooperation that has been supported by Hajo Neis and Howard Davis). 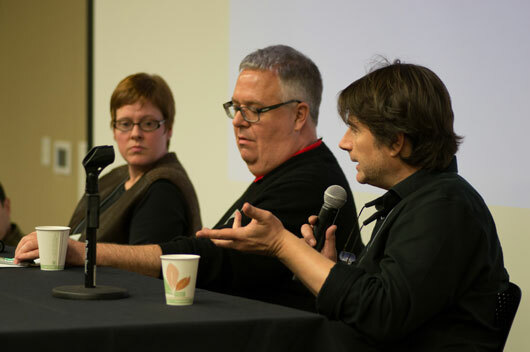 There were about ten speakers, from a variety of places (Detroit, Providence R.I., San Francisco and Portland) and from a variety of kinds of organizations (the owner of a bicycle manufacturing shop, representatives of organizations that promote urban manufacturing, architects who work with such organizations, non-profits). 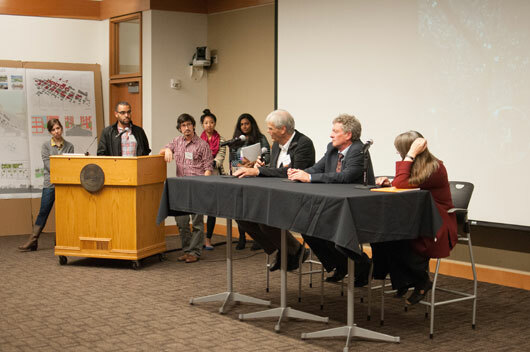 There was also a variety of modes of presentation at the symposium, ranging from individual talks, to conversations between people, to a panel discussion at the end in which the conversation turned to how architectural education might better serve students who want to work directly with underserved populations in the city. 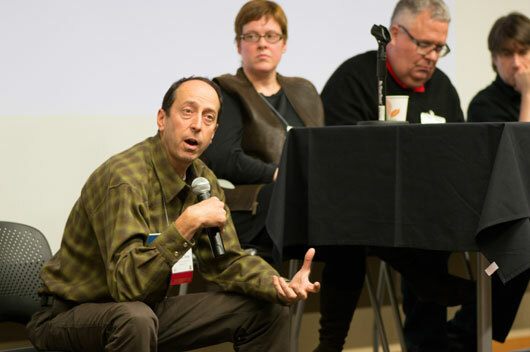 This made for a very lively set of sessions with good discussions. 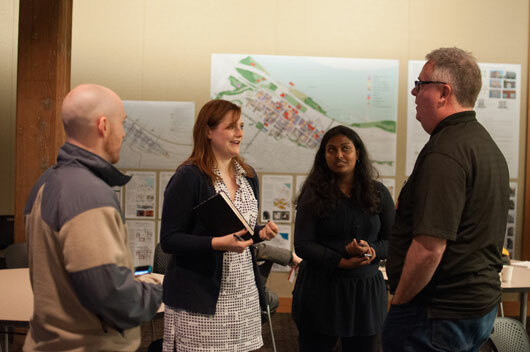 Thanks to the following people: John Haines, executive director of MCNW; Alysse Kerr, MCNW; Sabina Poole, UO; and recent UO architecture graduates Annie Ledbury and Drew Shreiner.